This tour is really a tale of two cities. Although it is named after the well-known Danish-California village of Solvang, three stages have been set up with their beginnings and ends in the nearby town of Buellton, and the fourth is even farther away from Solvang. We plead guilty to a slight failure of truth in advertising. For reasons that have to do with making the routes work well, it makes sense to start them in Buellton, but Solvang is the place everyone knows about and identifies as the hub of the region, so it gets the tour named after it. (Who would ever do “The Buellton Tour?”) There are many nice inns and motels in both towns, which function almost as twin cities when it comes to tourist services. Unquestionably though, Solvang has more to offer in the way of restaurants and shops and other off-the-bike attractions, and if being in the thick of all those tourist treats appeals to you, you can certainly lodge there instead of in Buellton. All three Buellton stages can be easily modified to accommodate a change in start location, and the fourth is actually closer to Solvang than Buellton (although it will require a drive for all but the hardiest of riders). 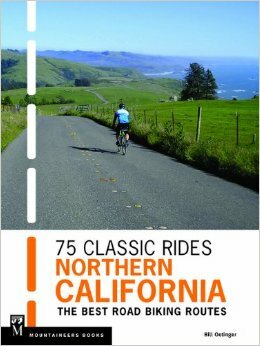 Catchy names aside, this mini-tour is an exploration of the Santa Ynez Valley and the surrounding hills. 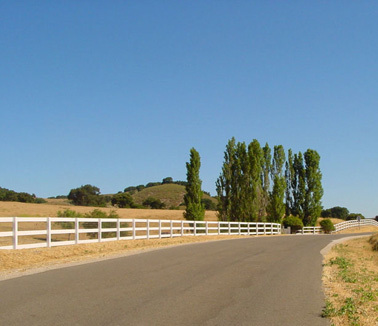 Whether you stay in Solvang or Buellton, you will be riding on back roads and byways that meander from the windswept bluffs overlooking the Pacific to the rugged, remote ramparts of Figueroa Mountain and Ranger Peak. In between are stretches of scenery that embody the essential, classic California landscape of the early mission era: rolling hills of golden grass dotted with stately sentinel oaks, sprawling horse ranches, and hills and valleys draped in the corduroy folds of the region’s premium vineyards. In the spring, those golden fields will be a luminous green, sprinkled extravagantly with wildflowers. This region has gained fame in recent years as the staging area for the pre-season training camps of several professional racing teams. It has also hosted a number of stages in the Tour of California. The mini-tour shares roads and routes with both the Mid-State Tour and the Condor Country Tour. Both of those tours are week-long journeys that pass through this region, while this tour stays put—more or less—and explores the area more intensively. Can be a short, very easy loop around the valley floor, passing vineyards and super swanky horse ranches in tranquil, bucolic Happy Canyon. Basic route can be supplemented with a very worthwhile out-&-back that adds 12 moderate miles. The big challenge of the day—if you’re ready for it—is a very challenging loop up around Figueroa Mountain. This is a real walk on the wild side: a cliff-hanging mountain goat of a road, but with stunning scenery as a reward for the hard work, and then a wild, white-knuckle downhill back to the valley. Off the beaten path. Not a lot of climbing on this rather long stage, but what climbs there are come with some delicious descents on their backsides. Heads out to California’s elbow: that point where the state juts out into the sea before tucking back toward Santa Barbara. For the most part, miles of empty country on either mildly rolling farm roads or climbing over the small hills that rise above the ocean. Could be quite windy…either headwind or tailwind. The primary route is entirely an out-&-back, but we also offer a partial loop route—with a different return trip—and a short, easy alternate route as well. The essential Santa Ynez Valley ride. An exploration of Drum Canyon, Cat Canyon, Foxen Canyon, and Ballard Canyon. Each is special in its own way, and together they make for one of the nicest days of cycling on this or any other tour. A few challenging climbs and snappy descents, but mostly just rolling hills through peaceful, oak studded meadows and through more of the region’s premier vineyards. Uses roads made popular on the Solvang Century, but also introduces riders to some obscure lanes that don’t show up in the big event. This is the only stage that does not start in Buellton. It requires a drive of several miles up into the Santa Ynez Mountains. Because of this, we characterize it as being optional, but we hope you will make the effort to do it, because it is probably the most impressive and epic of the four stages. Climbs up and over the ridge and descends to the fringe of the cities of Santa Barbara and Montecito, then climbs back over the ridge on some really world-class roads…off-the-chart spectacular.